I received the bank notes above from my friend Nele in Yugoslavia. The 100 New Dinara note is currently worth $1.43 and the 5 New Dinara note is worth $0.07 (6/2001). The notes above have a collectors value of $2.50-$4.50 each. Back in 1993 when they were experiencing hyper inflation the 5,000,000 Dinara note dropped to a low of $0.16 before being removed from circulation. 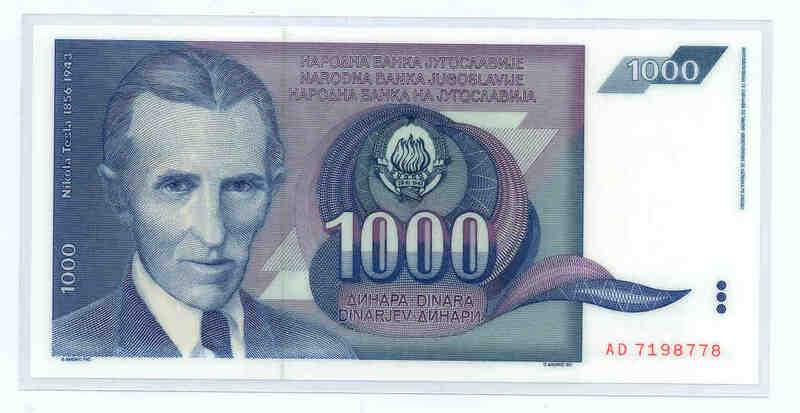 A rare 500 Dinara Tesla bank note from my friend Nele. 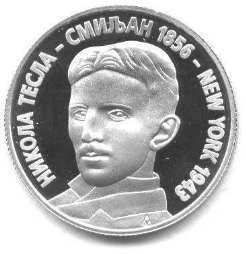 This is a commemorative coin which was issued with Tesla's likeness. 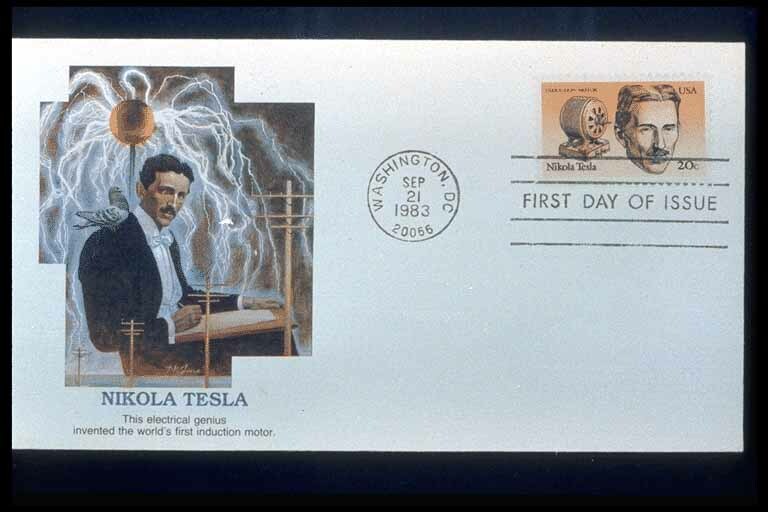 My uncle Nick Basura was instrumental in getting Tesla on a US Postage stamp. Here is a first day issue.